It’s been a year and a half now since I left my 6-Figure “Corporate Job”. It was the best (and last) job that I ever had – I truly loved the people I worked with, and the position was very rewarding on several levels. I learned so much working as a Project Manager in the Healthcare Industry, much more than I had ever imagined. 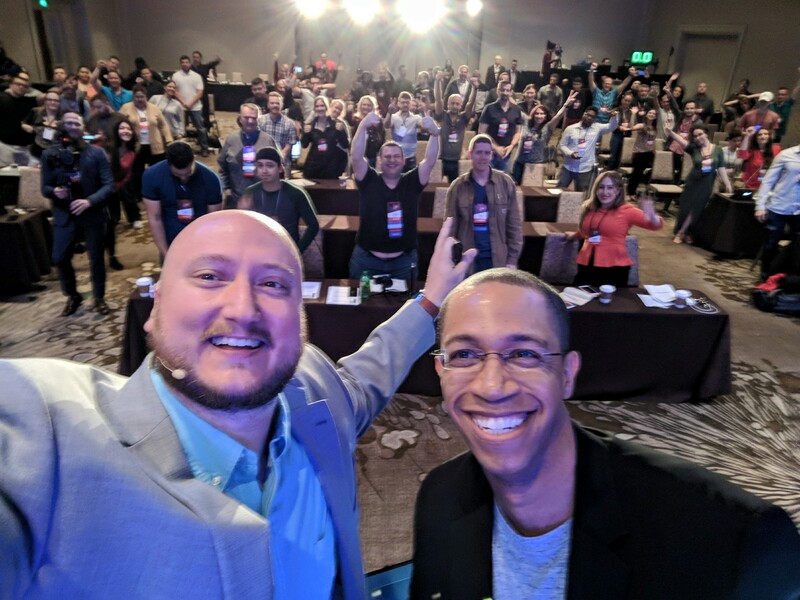 Managing anywhere from $500K to 4 Million in Monthly Revenue and anywhere from 40-90 projects at a given time – I learned the importance of being organized, prioritization, discipline and most of all – having systems in place to be able to manage it all. Burnout was not only unavoidable, but expected. I remember seeing the PM’s I had mentored come and go, it was a demanding position, and without the right mindset and systems you are doomed for failure. There is a LOT of value in having “help”. I hired my own Virtual Assistant to help manage my day-to-day tasks that did not require my “Unique Abilities” as a Project Manager. You hardly hear about this in the corporate world. There is so much red-tape, policies, procedures, and processes that do not allow them to adapt to the ever-changing climate of business. You might have a Company Conference Call or “Re-Organization” Once a year, or maybe every 6 months – but those “Changes” get rolled out, over some period of time, and by the time they are implemented – the technology has become outdated, or the competition leaves them behind. On the other side of the coin, for a little over a year and a half – I’ve taken a deep-dive off the cliff into becoming an Entrepreneur. I’ll be honest, I wasn’t expecting to become an “Expert” in the Entrepreneurial world already – but I offered something severely lacking in this “Hustle” Economy – Order. I’ve already been able to double my income from my past life as a Project Manager, a craft I spent 10 years developing in this new economy. Because I offered valuable systems and processes seriously lacking in the world of “Hustlers”, that haven’t experienced the high-pressure corporate atmosphere and the responsibility / accountability you have no way to avoid when you work for a Fortunate 500 Global Brand. I was always a “Small-Fry” at Philips, I was young, just turned 30 – By far the youngest of the Project Managers, and boy was I ambitious. I took my 6 month pregnant wife and moved right outside Portland, Oregon to take on the role as Project Manager for Philips after being the Information Technology Coordinator for a School District in Northern California. I’ve always been fortunate that every time I left a position it was because I was recruited for a “New Opportunity” with more responsibility (and of course more pay). After almost Four Years at Philips, the role had become very challenging to my family and my relationships. My wife and I had grown apart, with all the turn-over in my region I was managing 5 States, Washington, Oregon, Montana, Idaho, and Alaska. From time to time I was also thrown around to different states like Northern California or New Mexico to help save projects that were going south. On top of that my Grandfather was 94 and literally on his deathbed in California. I had requested a transfer several times back to California (which they promised when I was first hired that it would happen within the first couple years when available). My wife and I also had a very rough time dealing with a miscarriage during a Project GO-LIVE. I couldn’t even be there for my wife, I had to fly to Alaska on a Project going sideways, and my mother-in-law had to use the “FMLA” (Family Medical Leave Act) to take time off her demanding job and fly up to care for her while I was in Alaska. The only solace I had was one of my mentors and leaders at Philips Wally who brought my wife and I Thai food (my wife’s favorite) during all the disaster. My good friend and partner on the Clinical side Shannon was always there to listen, and comfort me. Yet, we were still not with our families, trapped, secluded, vulnerable. To top things off, the final straw that made me decide to make the leap – February 29th… Leap Day 2016 was the “re-classification” to a salaried position. I had always been told if you really want to be successful in life you can’t trade time for money. You have to be rewarded for your efforts, and I finally felt like I was on the right track. Towards the end of my career at Philips, I was asked by some of the upper management a question, “How do we keep guys like you from burning out or leaving the organization”? Knowing what I knew now, I could have given them a lot more feedback – I was not even contemplating leaving when that was asked of me. That first paycheck of my new “Title” and raise. It was the realization that I was still expected to work the same amount, and get paid less. I couldn’t bill for the hours traveling on the weekend to get things kicked off on early Mondays as our clients expected. I couldn’t bill for the hours prepping on Sunday nights to make sure things were in order for the week. I couldn’t bill for the countless hours in the evening when I got a call from an Engineer when a project went sideways and had to clean things up (even fly out personally to handle!). It was a 20% raise, and at the end of the say a 25% decrease. I knew that my skill set as a Project Manager was in demand, I had contemplated how long I could “survive” until I found something else, nearer to my Family. I was willing to make a huge sacrifice to find something that was more rewarding, I just had to talk my wife into it. There was a moment when it boiled down to having a life, and the freedom to spend time on my terms. I had accepted a few “consulting” jobs to help people get things straightened out, and realized that the skills I had developed managing virtual / remote teams was an opportunity companies didn’t even know about let alone understanding how easy it could be done. Virtual teams are the future. You heard it. There’s not a whole lot you can’t do remote anymore except for in-person executions. Even in the corporate world we had most everything virtual except for a few weeks (or less) to show up and plug things in. Now I have my own team of 57 Virtual Assistants that work for myself and my clients. This year I launched a program designed to show Entrepreneurs how to systematize their businesses and then build virtual teams to run them. The concept, so easy in theory, as well as execution – but it’s still a new concept. I’ve proven it for myself starting now 3 businesses than run by themselves with virtual teams. I’ve also helped HUNDREDS of Business Owners launch their own businesses into the stratosphere by removing themselves from their businesses they’ve become slaves to. I had a hard time telling my story, because I wasn’t sure where the journey would lead. I was always afraid I would have to come back the the “corporate world” and so I started my own “Entrepreneurial” re-birth secretly not to confuse my “old-life” friends and colleagues with the mind-blowing, eye-popping stuff that I’ve seen happen in not even two years. Since leaving Philips I’ve been featured on over 30 podcasts, 4 National & Local Radio Stations, even on CBS San Francisco for my expertise in both International Travel and Building Virtual Teams. Since then, my books have garnished thousands of downloads, I’ve gained over 3500 customers, 200+ clients, and have launched 9 businesses. In the past year I’ve received 11 inquiries from companies to be the following positions: QTY-3 IT Project Manager, QTY-3-CMO, QTY-2 CTO, QTY-1 CIO, and 2 Proposals for Partnerships in some pretty awesome companies internationally from USA, UK, and even Australia. Where they great opportunities? Absolutely. Why am I here doing my own thing? I’m done trading time for money. I’ve set up the systems and the right people in my business to run without me. When I work, it’s on my rules and my schedule. Like shown when I was honored to speak to a group of successful Entrepreneurs on how to systematize their businesses to run without them as well. I live what I’ve called the 9010 Life. The 9010 Life is about focusing on the 10% of your Life & Business that provide the largest possible result. Leveraging a team of virtual assistants to do the 90% of things that aren’t harnessing my “unique abilities” has changed my life – and the lives of 100’s of my clients over the past couple years. What started as a fun hobby, has turned into an opportunity that I would have never expected. The corporate world needs to adapt, they can find plenty of great people willing to work for them from the comfort of their home, both at home and abroad. They need to learn to be flexible, and put in place ways to explore innovation and creativity faster (especially with remote teams). Entrepreneurs are quick, they seize opportunities, and that is lacking in the corporate world. Entrepreneurs need more structure. They need more systems, and they need procedures. I see so many people being burned out because they work all day and all night because they don’t have help, and they don’t have their businesses in order to delegate effectively. Corporations have plenty of systems, and their on-boarding is tight. I’m humbled, honored, and blessed to be where I am today, and I thank God he showed me how valuable I am, by letting someone else tell me how valuable they thought I wasn’t. Project Manager, Consultant and Virtual Team Expert building teams Worldwide. He has helped SCALE Million Dollar Startups to Billion Dollar Enterprises and helped HUNDREDS of Entrepreneurs grow their businesses VIRTUALLY. He's on a mission to create purpose-driven lives for business owners, as well as virtual teams around the world.